Had Ethiopian food before but this time was the best I’ve ever had. 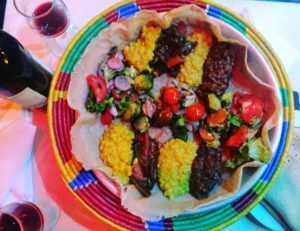 I love to eat with my bare hands and enjoy every single spicy bite if you like that too Godjo is your place. Where to eat in Paris just gets better. Segunda vez que como un plato de Etiopía pero este se la rifo y más por que me encanta comer con mis propias manos y disfrutar cada bocado enchiloso. Guys this place is fabulous, I have eaten here a couple of times and the truth is that it never disappoints, it has food for all tastes and its prices are fair. Brunch is the most recommended. Either you are Vegan, Vegetarian or not, everyone needs to go to Le Daily Syrien! 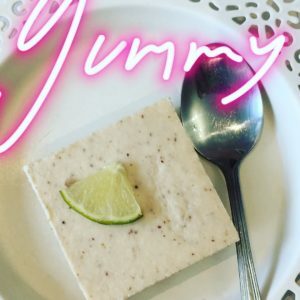 It’s absolutely delish and the prices are very fair. I can eat here every day if it was close home but I guess I have to save it for a couple of times a month. 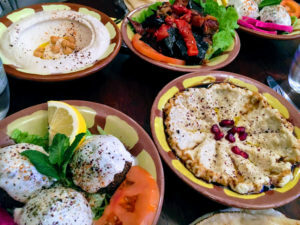 Trust me if you haven’t tried or you have eaten Middle Eastern food already, this place is a must for you. 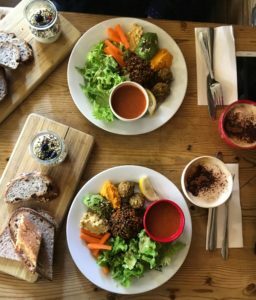 I love La Table Verte, food is super fresh and they have so many options. 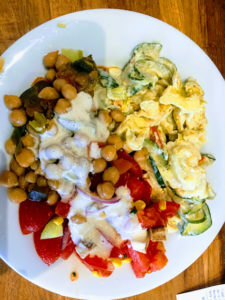 If you work around, their daily formule (combo) is always very balanced and delicious. Also, this is a great place if you are a tourist since is just a few blocks away from Arc de Triomphe. 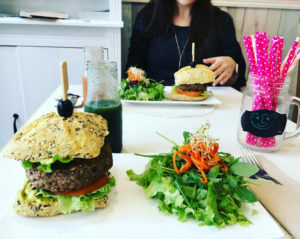 RawCakes is a small and cozy place in the 14th, located in a very nice street full of food shops. The food here is really good as you can see this bigass burger lol, but the best for me was their citron cheesecake. Do not miss this beautiful place. Best fresh juice in town. 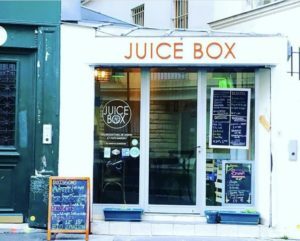 If you are in #paris you have to visit @juiceboxparis don’t hesitate this is the place for the best quality and freshness. 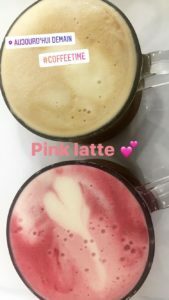 What a yummy pink latte they have… I am telling you! Also, this is a great place not only for coffee or food but is also a Bio boutique and market. Either you are hungry or you feel like doing some shopping this is the place for you. 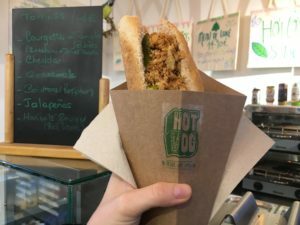 Hot Vog in town and right next to the Luxembourg Garden may come in handy if you are visiting the garden and want to eat some yummy hot dog. Le Grenier de Notre-Dame has a very good location since is just around the corner from La Seine and Notre-Dame. I would recommend it if you are around and you are tired of the cold or the heat since is not a random place. 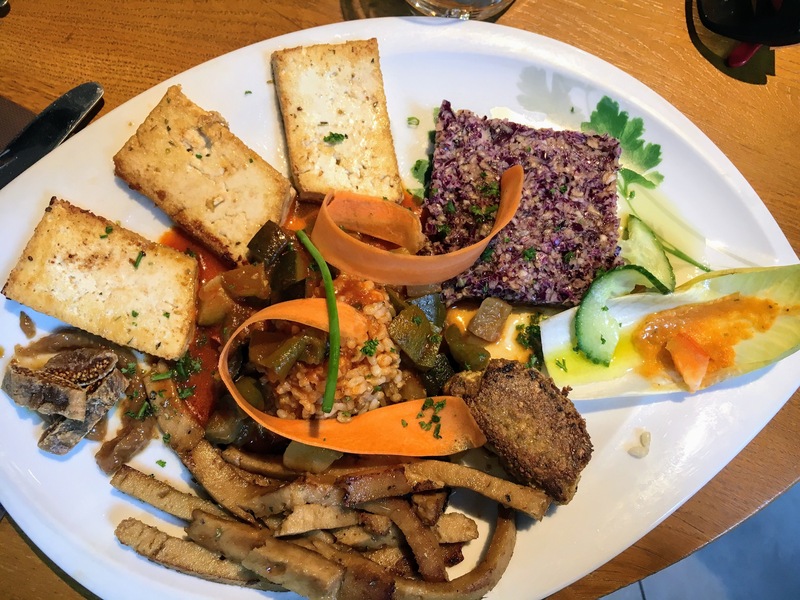 This is a very high-quality restaurant of course prices are higher too but if you don’t mind treating yourself with good yummy vegan food then this is the place. Also, this is a picture I took with my phone and you can see how yummy looks and it was. 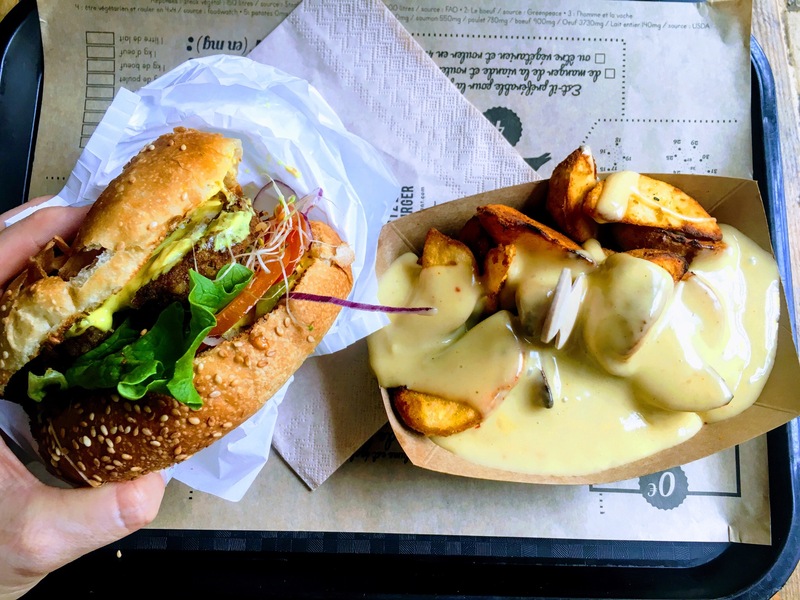 Hank burgers are very close to Châtelet which is good if you are visiting around and the Pompidou center. The burgers are good & location, it’s a great deal!